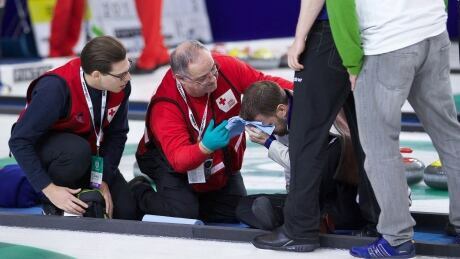 Whether a helmet would have protected Brad Gushue when he crashed face-first on the curling ice Saturday is debatable. But the sight of one of the world's best curlers sporting a swollen right eye and stitches brings to a boil the simmering issue of whether protective headgear should be mandatory in the sport, and at what age. 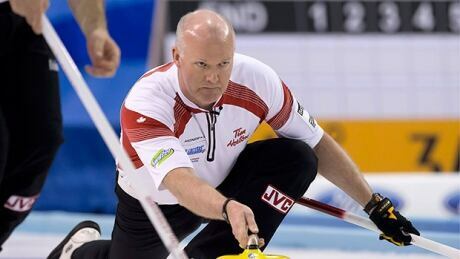 Winnipeg’s Mike McEwen defeated Jim Cotter, of Vernon, B.C., 5-3 to win the Masters title Sunday. 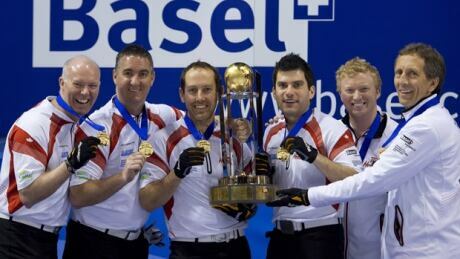 McEwen led by one coming home and made the open draw to the four-foot circle to ice the game and win his sixth career Pinty’s Grand Slam of Curling title. 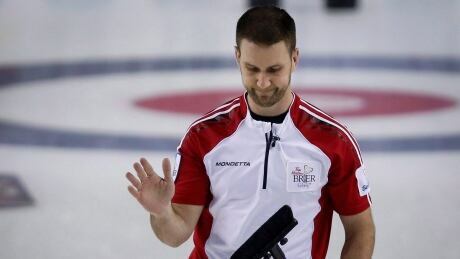 Brad Gushue slipped and fell on the ice during his team's quarter-final match against Steve Laycock at the Grand of Curling Masters tournament in Truro, Nova Scotia. 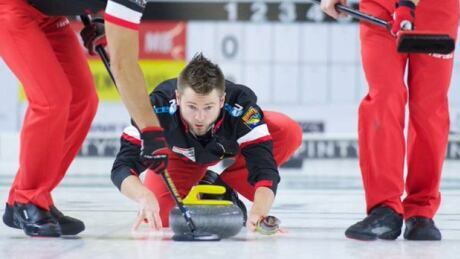 Watch live action from the Masters, the second leg in the Pinty's Grand Slam of Curling, as our coverage begins with the men's quarter-finals Saturday at noon ET and continues with the men's final Sunday at noon ET. While things are changing both professionally and personally for Team Jacobs, the team's focus stays steadily on the 2018 Winter Olympics. 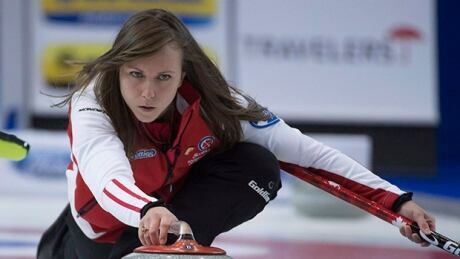 Rachel Homan couldn't extend her perfect run at the Grand Slam of Curling's Tour Challenge as Switzerland's Silvana Tirinzoni scored two in the eighth end to edge the Ottawa skip 6-5 in the Tier 1 women's final on Sunday. The finals are set for the Tour Challenge -- the first Grand Slam of Curling event of the season. 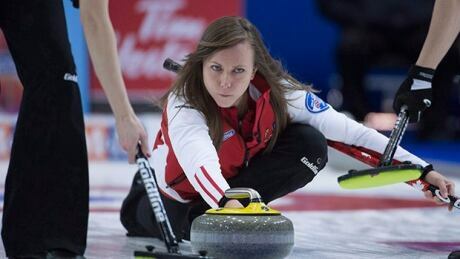 Rachel Homan toppled Edmonton's Val Sweeting 6-2 in Friday's evening draw at the Tour Challenge to remain the only undefeated skip in women's play heading into the quarter-finals. 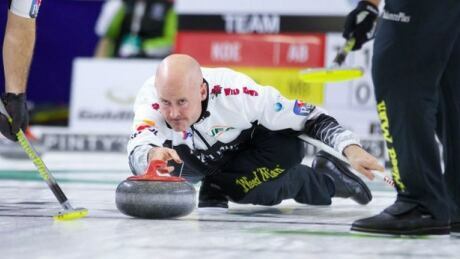 Glenn Howard toppled Steve Laycock 7-2 on Thursday evening to remain unbeaten at the inaugural Tour Challenge at the Paradise Double Ice Complex. 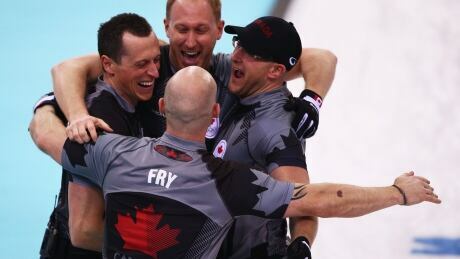 Scott Howard was the first one on the ice to celebrate when his father, Glenn, skipped the Canadian team to a world curling title three years ago in Basel, Switzerland. At the time, Howard was an alternate. Now he's hoping to return to such heights as a full-time player on the squad. You are currently browsing the archives for the Sports/Curling category.